Phantom Of The Opera Makeups! These were done by the amazing SylentPhantom. Click the links and you shall see bigger versions. 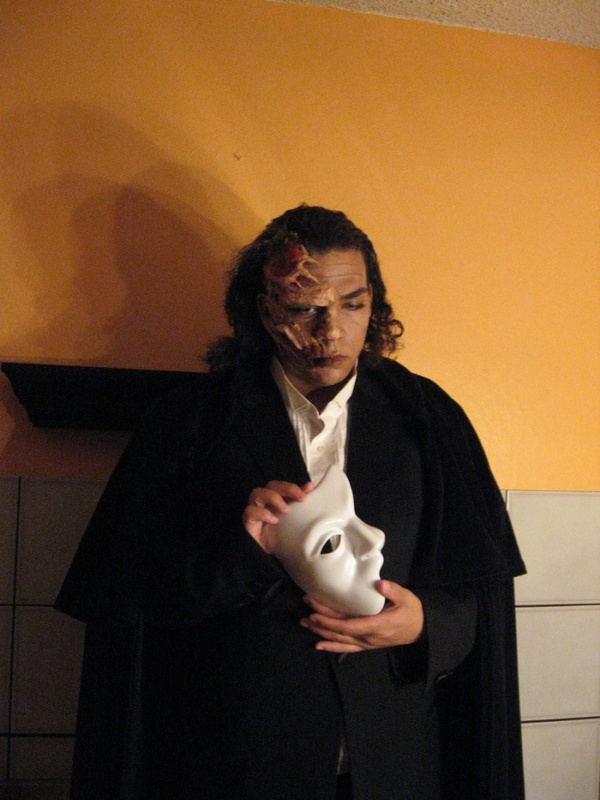 Re: Phantom Of The Opera Makeups! That looks so impressive! I especially like the part where the makeup is extended over the hairline - very realistic. Cool Lon Chaney makeup too. I would pose some work but it's all old stuff the news stuff i did you already posted Alexiel so maybe I'll have to do some new stuff. Always loved that photo shoot we did. You look amazing! My favourite is where you are posing with your arms folded across your chest. The make-up is superbly done... and draws one's attention to your attractive eyes! You should post a couple of the "humorous" ones. Just browsing through these today and have to say how much I LOVE the photo with your arms crossed! Very much how I picture Leroux's Erik. Perfect! !